Safari Playground offers a Safari Themed adventure for all ages. Adults can come and relax watch TV, use the Internet, enjoy a cup of coffee and have lunch, catch up on paper works or just come and have your kids have a blast. 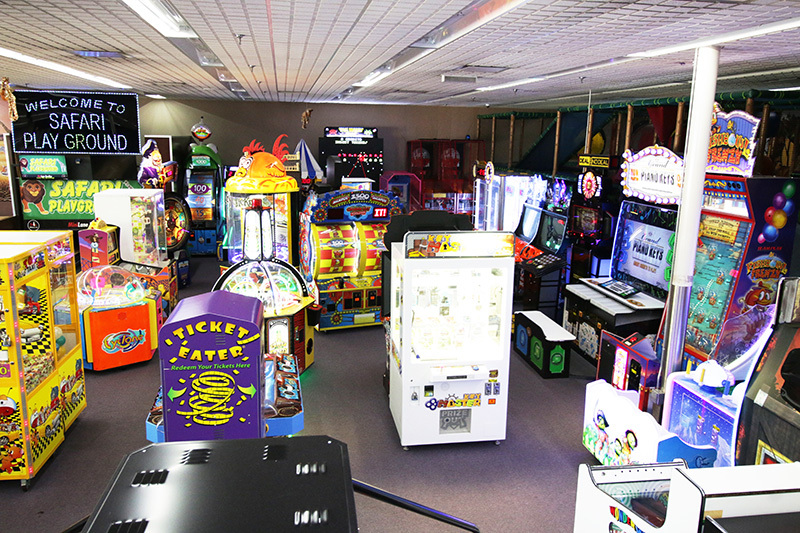 Our facility offers with a Play structure, Arcade, Bowling, Ticket Games, Skeeball and more. The majority of our video games offer redemption tickets. We have quite a few high tech new games like: Dizzy Chicken, Milk Jug, Super Bikes 2, Temple Run, Snow Cross, Crank It and many, many more games. Safari also has major prize games: Key Master where you have a chance at winning an Apple iPad, a Kindle or a gift card. Safari Playground has yet added another attraction, “mini bowling”! Come try our mini bowling, you are guaranteed to love it. We have even added bumper guards that can be used when wanted so your kids are guaranteed to knock down pins. We will also be adding redemption tickets in the near future to our mini bowling lanes. 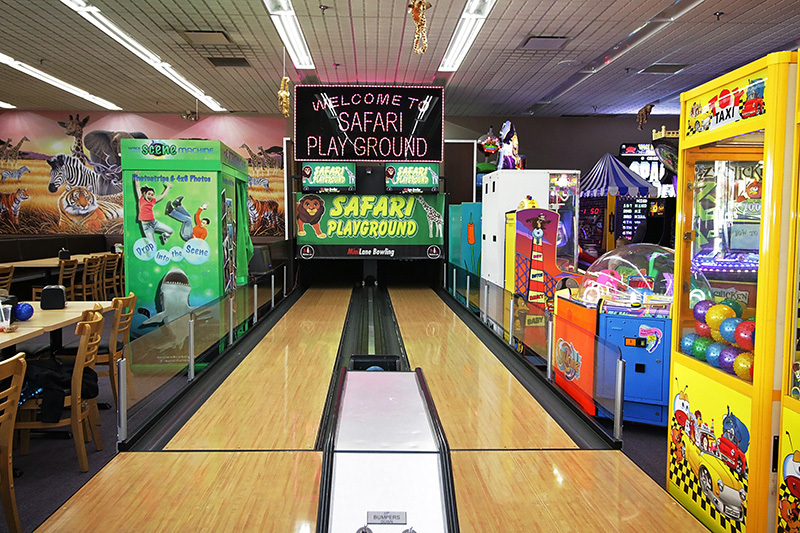 Safari Playground offers Skeeball. 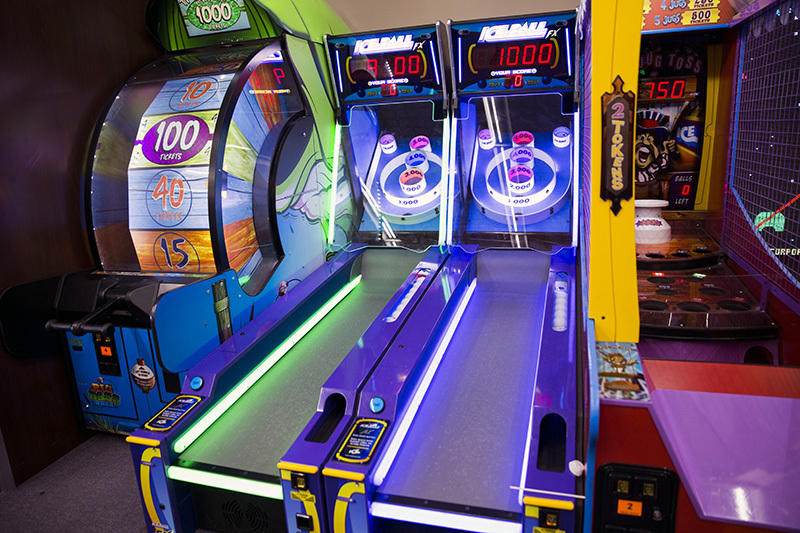 This classic Skeeball Lightning game is the game you grew up with. Try to score the most points possible by shooting for the center ring! 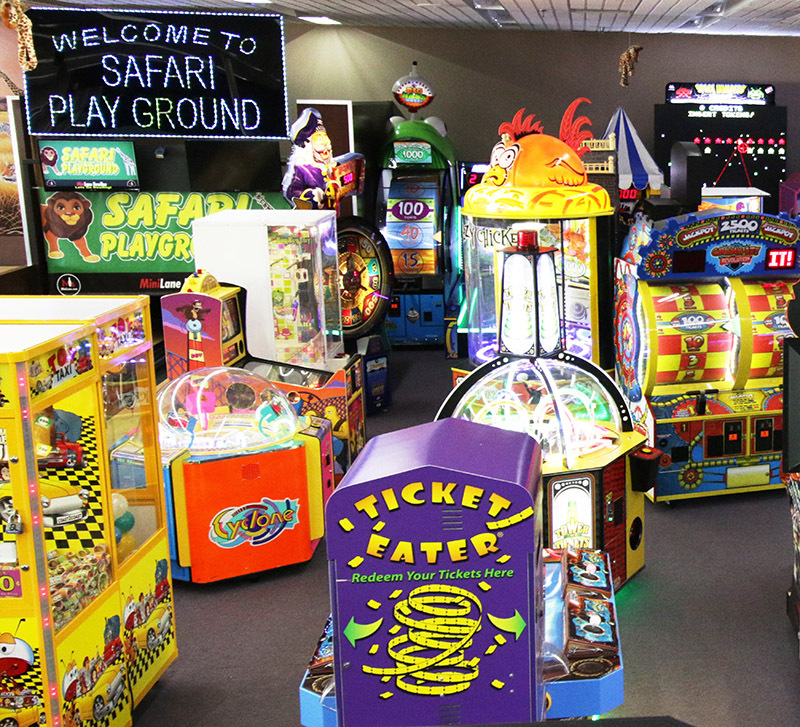 Safari Playground has over 50 games that offer redemption tickets (redeemable for prizes). We have a redemption area geared towards kids. Our games give 3 to 4 times the amount of tickets as our competitors to give your kids a chance at winning a bigger prize. 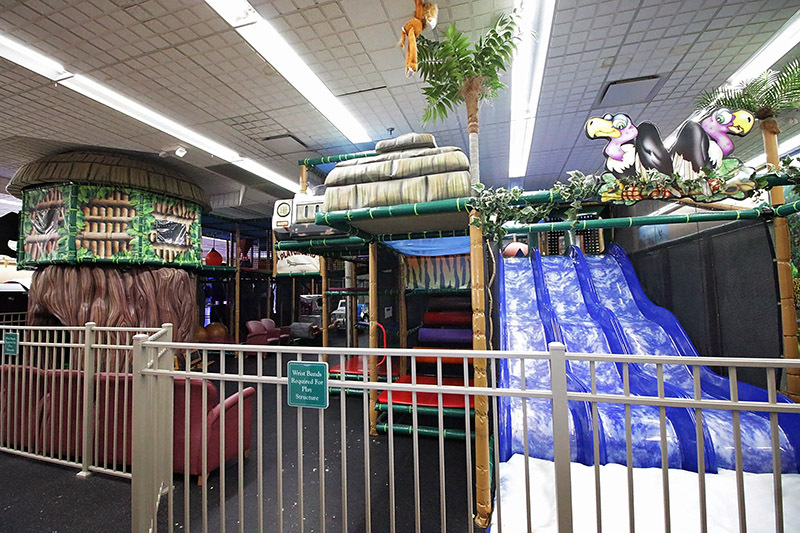 Safari Playground has a large indoor playground structure with a bridge and slide and a crawlers play area. Let your kids engaging in active play, in a safe and clean environment. The obstacles, slides and soft play area will engage your child’s imagination while you keep an eye on them from the comfort of our cafe.